Lemur Week is here, join our tour. Their ghostly eyes are lovely windows to their souls. The Duke Lemur Center offers tours, similar to the one above. Their goal is to raise funds for research (Smith estimated that 10% of the center’s funds come from tours). Most of all, the center aims to educate the public and raise awareness about lemur conservation. And it seems to pay off: in 2013, they received 18,000 visitors (5,000 more than a previous record-breaking year). In addition to tours, the educational department is expanding to bring in even younger visitors, so conservation education can start earlier. The Duke Lemur Center now has a “primates for pre-schoolers program” for kids ages 3-5, and a “leaping lemurs summer science camp” for 6th and 8th graders from all over the country. For the grown-ups, there’s an “evening with the experts” with such curious topics as “are you smarter than a lemur?”. Originally posted by the author at PLOS Sci-Ed. I only noticed the cold after my fingers had stopped responding. I wasn’t able to press the camera shutter button any longer. In that 20 degrees F night, I was standing in the sidewalk with Science Online friends, and I had only a party dress on. Everyone in an audible radius of Katie immediately followed. No questions asked. No time for coats. A small crowd of Science Online partiers scrambled outside in the sidewalk. One of the attendees set up the giant binoculars on a tripod. The term “binoculars” does not give it justice: the instrument looked more like a small telescope on stilts. (It’s peculiar how Science Online attendees arrive prepared. In their suitcases I found vials of freshly-collected caterpillars, and supersized mascot costumes. Which gives me an idea for my next photographic project. But I digress). People took turns shivering and looking through the binocular lenses. Every time someone re-joined the crowd, a “just-seen-a-ghost” expression took over their face. An expression I knew very well. I had felt it growing up, every time I peered through my telescope lenses. My first time feeling part of the global community when I could, like them, see the same comet. Or, years later, about to witness a rocket launch from Cape Canaveral, stood in a Florida sidewalk with NASA fans watching the International Space Station flyby. You finally understand that something is truly, literally, out of this world. Europa, Callisto, Ganymede, and Io (my favorite) were all brightly visible surrounding Jupiter. I had never seen the moons before. The scene reached its poetic peak when Katie, trembling (cold, giddy, or both? ), narrated the story of Galileo’s discovery. I was not sure I would be able to describe that moment, which is why I had pulled out my camera earlier that night. I had to flash-freeze the “human behind the scientist” scenes I’ve been observing throughout the Science Online conference. Before, I was secretly shown a squirming caterpillar, heard a first-hand speech on lemur costumed gloves, and got pulled out of a party to watch Jupiter. Those warm and fuzzy Science Online moments can easily make one forget any turmoil. This community made me feel welcome. 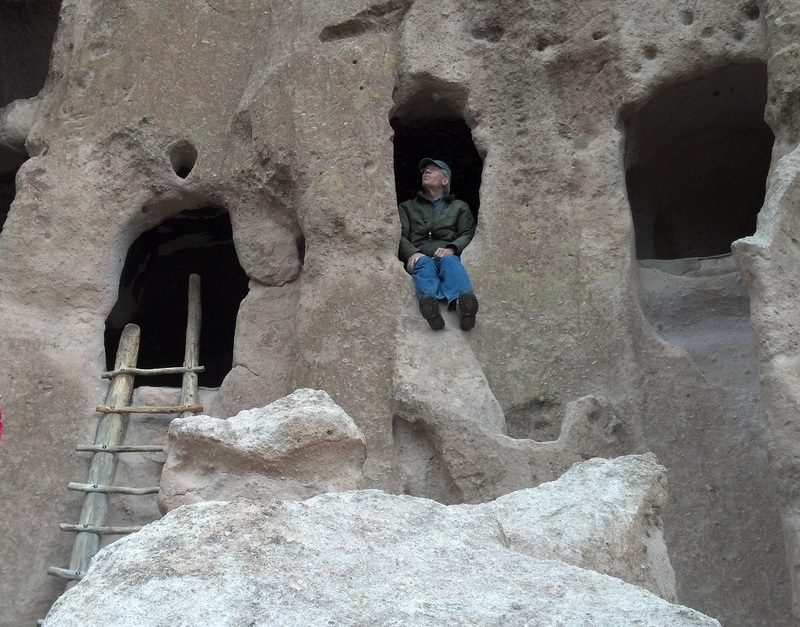 Later I noticed someone had draped a fleece coat over my shoulders. Charlie Metcalf arrives at the emergency room suffering symptoms of cirrhosis. His prognosis quickly deteriorates and in less than one hour, Metcalf faces a procedure with very low chance of success. His best prospects, if surviving the procedure, would be to hope for a liver transplant. His doctor, however, warns: it is very unlikely for an alcoholic patient to receive a liver transplant. 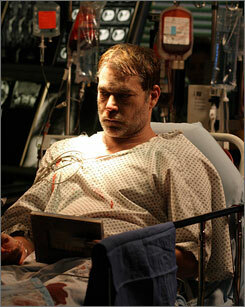 The patient above is fictional, and is the focus of episode “Time of Death” of the medical drama ER. The story is emotional and powerful, and casts a strong impression on viewers. This is one of the reasons why Dr. Cynthia Wichelman, professor at Washington University in Saint Louis, shows this episode to the 1st year med students on her Emergency Medicine class. ER episode “Time of Death” stars Ray Liotta as Charlie Metcalf. NBC Universal / USA Today. Dr. Cynthia Wichelman has been teaching medicine for 17 years. Recently, she took on a new approach supported by multimedia components such as TV and online short films. I asked her on the phone what motivated her to pursue that approach: are students different now? “I do see a difference, I really do”, she says, “and it’s because back in the early 2000’s, students were not on the internet. Now, I would say that we compete for their time.” Unsurprisingly, taped lectures and powerpoint presentations won’t do it anymore. To capture the attention of a demographic with dwindling attention span, Dr. Wichelman uses storytelling, fiction and drama. TV shows such as ER, Grey’s Anatomy, or House are clearly-labeled fictional shows created to entertain. Still, they have the power to influence many. One study found that over 80% of med and nursing students watch (and are influenced by) medical dramas; other study inferred that most patients are educated about CPR via medical shows; while another believed ER helped the public become more informed about teen obesity. The TV shows, although relevant, are far from being a precise depiction of medicine. The storylines carry inaccuracies (for example, most patients treated with CPR are young and suffered an acute trauma, as opposed to elderly patients with chronic cardiac conditions), exaggeration (in fiction, 75% of those patients survive, in contrast to 40% in the medical literature), and even absurdities (such as lungs in a box –oh wait, that one was real). So, shows are inaccurate and both the public and early med students are buying it. Should we be concerned? Not really, says anesthesiologist and former professor Dr. Silvana Russo (disclaimer: sister of the author). Older students, she tells, are able to pinpoint inaccuracies once they have completed a certain amount of clinical hours. Dr. Russo believes that the TV shows are invaluable tools to reach younger, inexperienced (and perhaps more easily distracted) medical students. When she taught 1st year medical students, Dr. Russo showed movie clips where characters suffered heart attack (and later were revived by CPR). She then paused the film mid-action, while asking the class to evaluate: what’s wrong with this scene? “Find the error” was the hook used to get students engaged with the material. Back to the Emergency Medicine class, Dr. Wichelman’s aim went beyond capturing the student’s attention. She believes using a patient story (real or fictional) is a memorable way to start a lecture. In that particular ER episode, Ray Liotta’s character Charlie Metcalf explains how he resorted to “pruno”, or prison wine (a concoction that involves fruit peels, a sock, and toilet water). By watching Metcalf’s drama unfold, the young medical students learn about addict’s desperate behaviors, which is an important part of treating such patients. Also, Dr. Wichelman’s goal was to expose students to the pacing of an emergency room, difficult patients, emotional complications, and ethical scenarios. It helps set the stage for the clinical realities the med students are about to face. Start by choosing your clips. The literature is packed with examples. In one psychiatry class, instructors used clips from ER that portray patients symptomatic of histrionic, antisocial, borderline, and narcissistic personality disorders. They also used ER clips to illustrate how to breaking out bad news to patients (in this case the instructors used portrayals of a terminal geriatric patients, young patients with cancer, or HIV-positive young adult male). 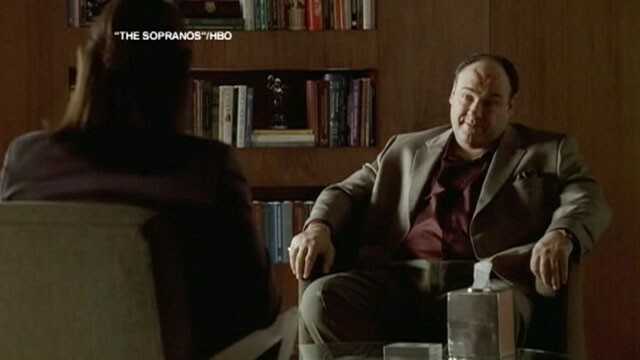 Prof. Timothy Hall (pdf), in his mental health law seminar, uses clips from TV shows such as The Sopranos (where mob boss Tony Soprano seeks psychiatry treatment for panic attacks) and a long list of films. Prof. Midmer has another list of films, as well as a few guidelines: make that clip short, and follow up with a group discussion. In the non-fiction realm, Dr. Wichelman also uses procedure videos and patient testimonials that she finds on Youtube or other sources (one example of a source is Medtube). Diem SJ, Lantos JD, Tulsky JA. Cardiopulmonary resuscitation on television. Miracles and misinformation. N Engl J Med.1996;334:1578-1582. Goodman, Kevin. Imagining doctors: medical students and the TV medical drama. Virtual Mentor – American Medical Association Journal of Ethics. March 2007, Volume 9, Number 3:182-187. McNeilly DP, Wengel SP. The “ER” seminar: teaching psychotherapeutic techniques to medical students. Acad Psychiatry. 2001;25:193-200. Simultaneously posted on PLOS Sci-Ed – January 13th 2014. I wrote a two-parter for PLOS Sci-Ed to tackle hatred of bugs. A bee is cute but a spider is a horrible monster. Why? Even before that day when Gregor Samsa woke up as a monstrous, verminous bug, people have disliked bugs. 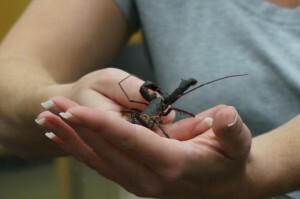 Vinegaroon at University of Florida. Photo by the author. Never before had I’d seen a science discussion start with a disclaimer. Dan was being careful before bringing the live specimen for the volunteer’s closer inspection. Who can blame him – in the US alone there are 19 million entomophobes. How can we teach entomology to such a crowd? Can we break the bug phobia stereotype? I never thought I’d ever write about football. Need to bite tongue. For PLOS Sci-Ed I wrote about the Washington Redskins and their star, Robert Griffin III. I focused, however, on all the knee anatomy lessons we got from NFL. The Redskins might not be doing so well anymore, but my team (FSU Seminoles) is #1. I’m hooked and may not stop so soon. The star that night was not a quarterback, but his knee. The game biggest star, quarterback Robert Griffin III (RGIII for the fans), suffered an injury earlier this year. Fans anxiously awaited his return and kept busy speculating about the athlete’s medical treatment and recovery. So it was during the new season’s opener, on the player’s return to the field, that the surgery was explained in detail. With it, TV viewers also learned about the structure and anatomy of the knee. Apparently, NFL is in the business of teaching human anatomy lessons. Most of what I write for this Sci-Ed column is about science outreach. How to bring science to the general public? I’ve covered museums and zoos, but I’ve also mentioned before that a lot of people (including children) don’t have access or don’t get exposed to these resources. I even talked about an initiative to place museum collections in shopping malls, but I haven’t mentioned teaching science in a sports arena. The graph above shows how Americans spend their free time. They spend around 6% of their time playing sports, but 56% of their free time watching TV. Can we take advantage of that TV-watching time and populate it with science tidbits? Or even capture that “computer leisure” time segment (8.6%) and instill it with some sports articles filled with anatomy information? Source: Washington post, Alberto Cuadra. Is sports TV educating their viewers? Our resident medical expert Dr. Silvana Russo firmly believes “it is always fun to see science knowledge popularized.” ESPN is perhaps making human anatomy as popular as other well-known scientific theories (e.g., the big bang theory, or evolution). I asked my husband (a football fanatic) to spell out ACL. “Arterial something ligament”, he said. It actually means “anterior cruciate ligament”, but a non-scientist is not expected to know that. The abbreviation works just fine. I’m a scientist with some formal knowledge of anatomy 101 (which I described here), but I did not know what a Lisfranc injury was, unlike my husband who did. It seems a football enthusiast knows the geography and function of a knee or a foot better than I do. The use of celebrities (or like Atif Kukaswadia said, “science heroes”) won’t hurt. There was a competition for attention on Robert Griffin’s knee, and science education benefited from it. After that, I’m ready to name the Griffin (or his knee) the anatomy spokesperson of the year. It’s hard to find a science book that makes me laugh and cry. George Johnson’s Cancer Chronicles is one of those. Back then, George shared with me his newest manuscript format, still a bunch of chapters in a Google Docs folder. He had asked me to review the science bits and make sure all technicalities looked ok. I was not prepared for that task though: I didn’t expect to have to move through tears as I absorbed the personal story permeating the book. George was the first to guide me and someone I can truly call a mentor. He will be visiting DC Friday Oct 11th and I’m thrilled to see him again and also hang out with some great DC scientists and science writers. We’ll meet at Saint Arnold’s Mussels, Cleveland Park location at 6pm. Bring your appetite. And your science stories. 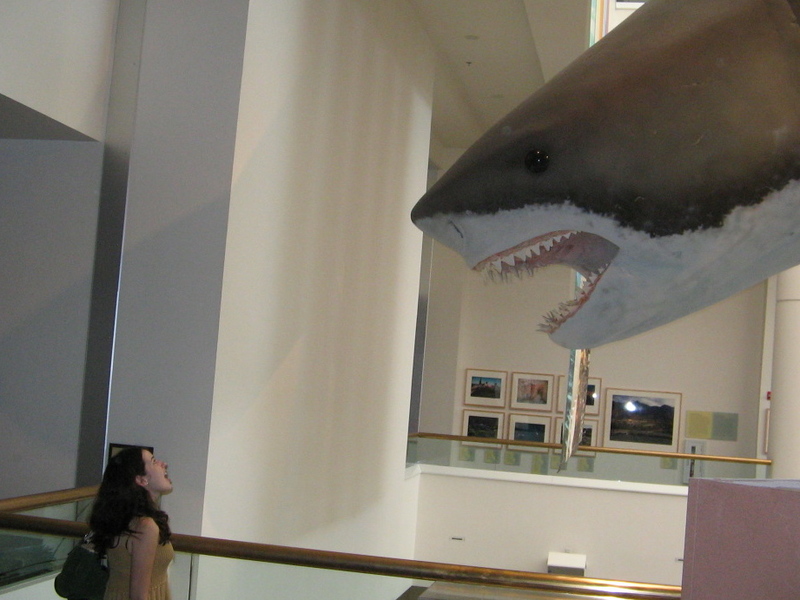 Shark Week and Megalodon: In the good old days we could joke about the Loch Ness monster or the Sasquatch. Now we have to pick our channels carefully so we don’t get a “science” lesson about a mermaid or Bigfoot… Discovery Channel gave us a “marine biology” lesson and told us paleontologists are wrong: the Megalodon, a 50-foot long extinct prehistoric shark, is still alive and eating people. Read More. Minecrafting the Classroom: Minecraft, a Lego-style, pixelated block-building game gives players unlimited freedom to create, and its being used in environmental science classes. Perhaps this is the closest way kids can live science: by experiencing environmental destruction, safely, inside a game scenario. Read more. Nefertiti on her space habitat. Photo by NASA. Spidernauts: Dan Babbit keeps a frozen spider on his fridge. 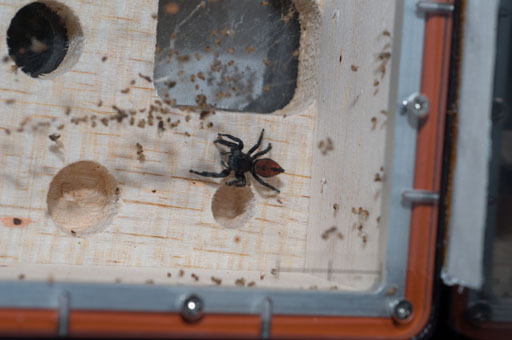 The spider in question is celebrity arachnid Nefertiti, who went to space and back. Read more. 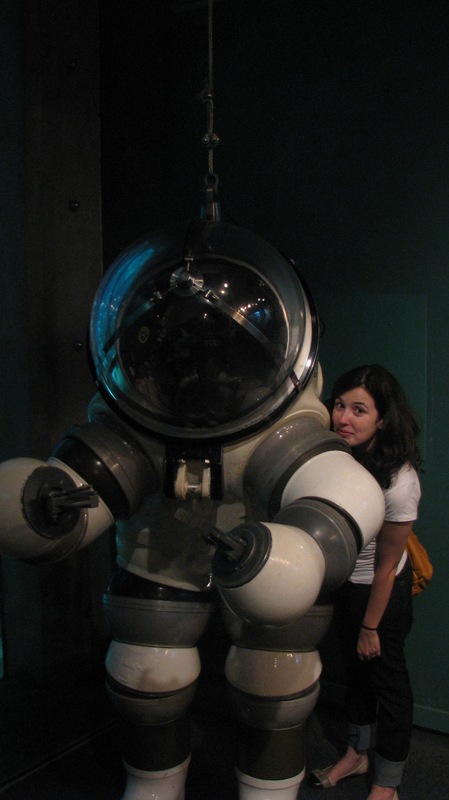 Dr. Cristina Russo, biophysicist and science writer, is a monthly contributor to Sci-Ed, a PLOS blog on science education. Scientist with a Ph.D. in molecular biophysics. Works as a science writer and content manager for Owen Software. Former ballerina and current Zoo interpreter. Lives in Washington, DC with husband and canine best friend Ford. Views are her own and do not represent those of her employers. The image above and on the header of this blog are part of the early 20th century Antarctic Expeditions. Here a dog is photographed by Herbert Ponting aboard the Terra Nova (1911), and on the header, a sled team was photographed by Frank Hurley from the Endurance (1915).